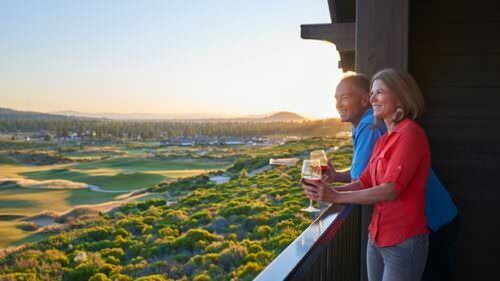 Adventure is different for everyone, and in Central Oregon, you can find your own — from lava flows, desert terrain and mountain lakes to breweries, shopping, and luxury resorts. You truly are in the center of it all. 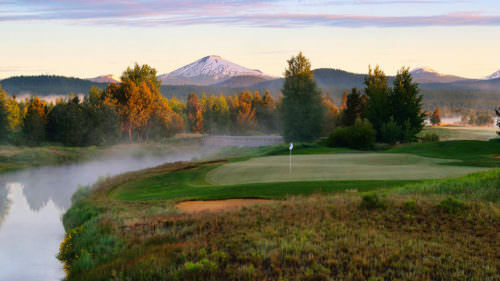 Get inspired and plan your next vacation at VisitCentralOregon.com. From snowy peaks to high desert plains to flowing rivers, the landscape of Central Oregon has been inspiring makers for generations. Many locals draw upon the scenery to feed their creative endeavors, pouring their passion into everything from books, hats and fishing flies to whiskey, beer and gin. On your next visit, take time to check out their wares and sample their tasty innovations. You may just get inspired to get crafty yourself. John Smeraglio tied his first fly at the age of 10, when the owners of the fly fishing shop down the street from his home in Portland taught him the art of fly tying and custom rod building. More than 30 years ago, Smeraglio moved to Maupin on the Deschutes River in north Central Oregon and followed a dream to open up his own shop. Today, visitors to Deschutes Canyon Fly Shop can draw on Smeraglio’s deep knowledge of the river while he’s tying flies perfectly suited for that river. “I study the entomology of the river, and experiment with materials and patterns suitable for the specific hatches of the Deschutes River,” he explains. “The satisfaction comes from blending science and art towards the goal of catching a fish. When everything comes together, you enjoy a one on one moment with that creature and then let it go back to its environment. That connection between nature and you creates a more meaningful experience,” he says. 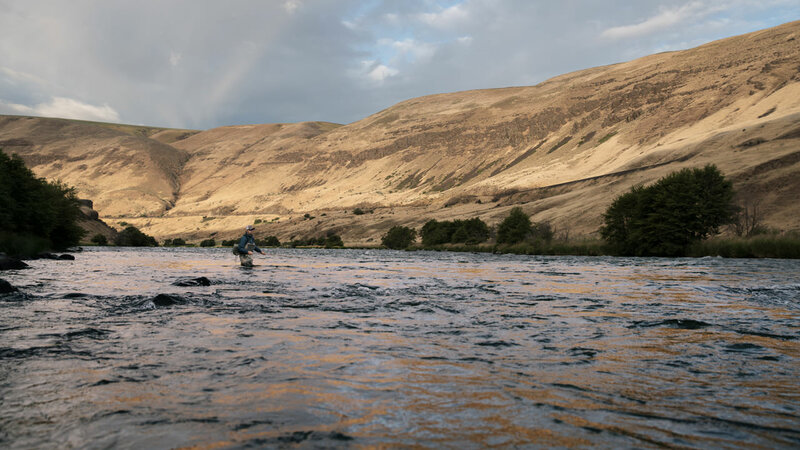 Check it out: Book a guided fly fishing trip on the lower Deschutes River, try a fishing and biking trip to Maupin or check off a bucket-list item and go whitewater rafting. Or explore trails and set up your tent under the stars this summer at Deschutes River State Recreation Area, an hour north of Maupin. When Wilson Wewa was a child, he traveled the Great Basin to powwows and rodeos from his home on the Warm Springs Reservation, staying with friends and relatives along the way. “They’d be working on tanning hides, bead-working, sewing powwow outfits or preparing Native foods,” he recalls. “By being part of the household, I acquired those lifeways for myself.” Today, Wewa passes on his traditional Native American skills in storytelling, history, culture, spirituality and gathering of roots, berries and traditional medicines. “The landscape of the high desert of Oregon is who we are,” says Wewa. “The land is our mother. 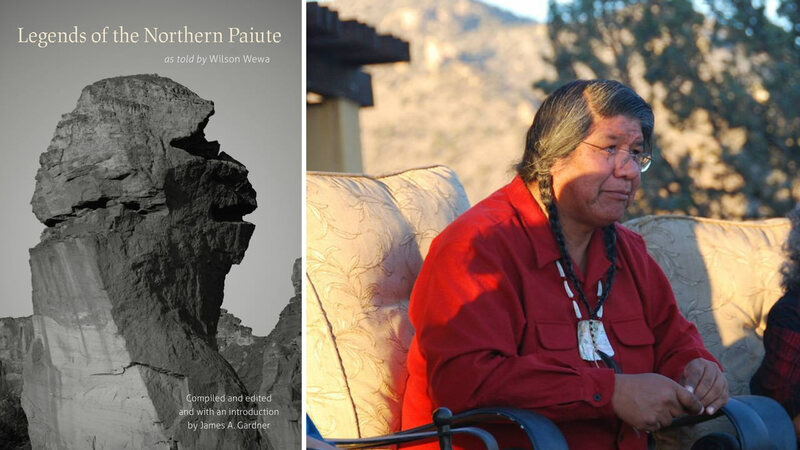 We can’t have life without it.” In 2017, Wewa put 18 legends into print in “Legends of the Northern Pauite,” a collection interpreting oral tradition of his tribe. Visitors to the Museum at Warm Springs can explore what’s been called one of the best and most complete material collections owned by an Indian tribe, including family heirlooms, paintings, sculpture, masks, clothing, beadwork and photographs from the 1850s to present. Check it out: Look for Wewa’s book and experience more Native American history, art and legends at the High Desert Museum in Bend and the Museum at Warm Springs. See him featured in videos at Four Rivers Cultural Center in Ontario and Columbia Gorge Discovery Center and Museum in The Dalles. In 2013 an old friend gave Cate Havstad a well-worn flat-top hat. The hat was Cate’s treasured possession — that is, until her dog ate it. Devastated, she began searching for someone who could repair her hat. She learned that very few custom hat makers remain in trade, so she decided to learn the vocation herself. Curiosity soon turned into industry, and today, Havstad runs Havstad Hat Company, crafting custom hats using vintage hat-making equipment dating back to the 1800s. “I want to be a custom hatter who makes each hat with great care, one at a time,” she says. A line of her hats, called Hues of the High Desert, incorporates natural dyes from plants of the region. Cate makes hats from October to April. 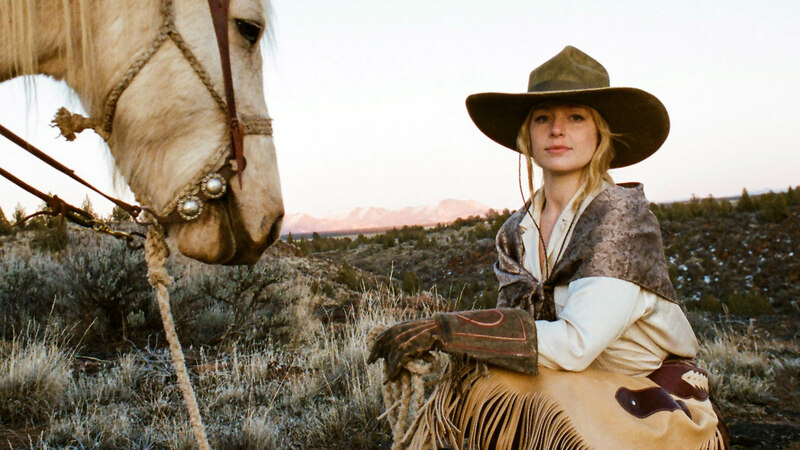 When Cate isn’t making hats, she runs an organic, diversified farm in Madras, Casad Family Farms. 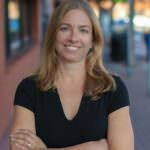 Find her produce at local farmers markets in the summer. Check it out: From jewelry to clothing to food, find more locally handmade items in the shops of Bend’s Makers District, Bend Box Factory, The Workhouse or the Old Mill District. Inspired by the booming craft brew scene at a young age, Paul Bergeman came to Central Oregon after stints at large breweries in Portland and Hawaii. 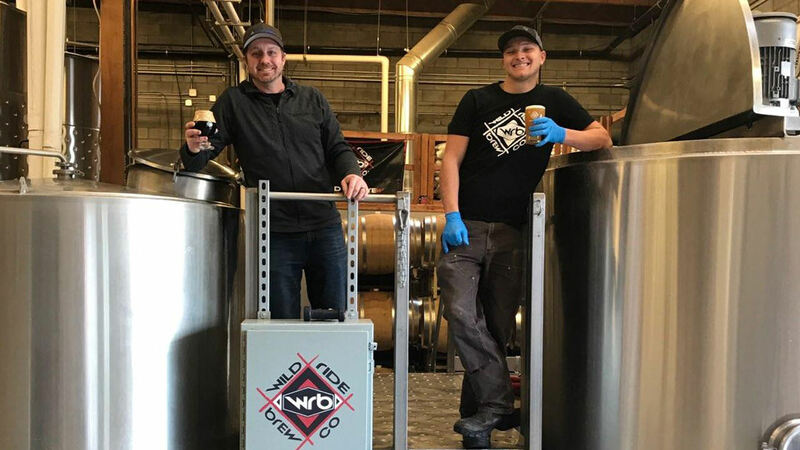 Wild Ride Brewing, a family-friendly taproom with food carts in the parking lot, opened in Redmond in 2014 as the region’s 26th brewery. “In Central Oregon, where breweries are known for high quality and unique beers, we knew that Wild Ride had to come prepared,” Bergeman says. Wild Ride has 16 beers available at the tap house, a stone’s throw from other downtown Redmond hot spots including Cascade Lakes Brewery, Rimrock Taphouse, Brickhouse Steak House and E BarGrill. At Wild Ride, guests not only taste the beer at its freshest but also see it being made. The brewery is known for being fun, bold and experimental, with five seasonal sour ales; use of ingredients such as peanut butter and Kona coffee; and barrel aging to absorb the flavor profiles from whiskey, pinot noir and tequila barrels. Check it out: Experience more of Central Oregon’s craft brew scene on the Bend Ale Trail, which features 18 breweries in Bend, or visit the brewpubs in Sunriver, Prineville and Redmond. Truth is, you can find a local beer at just about any restaurant in the region. Native Oregonian Nick Beasley looked all over the state to find the perfect location for his distillery — a craft he learned through his studies in food science at Oregon State University and honed at another distillery in Portland. 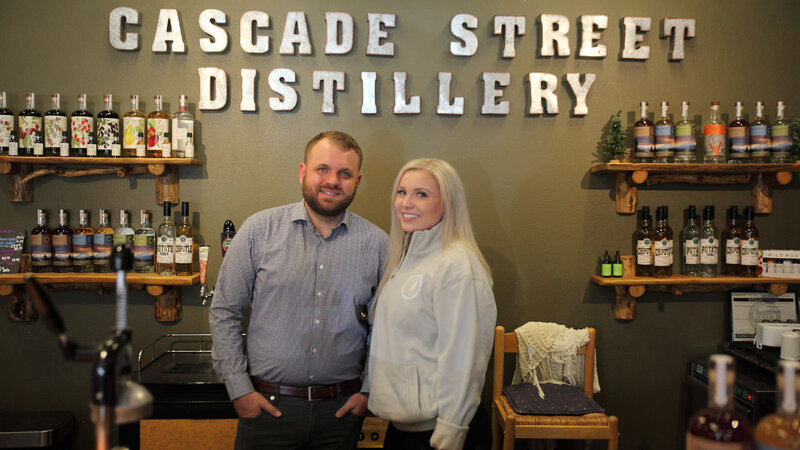 He and his sister, Katie, soon founded Cascade Street Distillery in Sisters, citing the area’s natural beauty as well as family roots in the region. “Every bottle we make encapsulates part of Central Oregon,” Beasley says, “from the water that comes straight from the snow melt of the Cascades to the regional botanicals we use and the branding we create.” Visitors to the small shop and tasting room downtown sip on South Sister Gin, Broken Top Bourbon Whiskey and North Sister Vodka — straight up or mixed into innovative cocktails. Within blocks, thirsty visitors can grab a glass of wine and a bite at Cork Cellars, a scone and coffee at Sisters Bakery, or a diner burger and milkshake at Sno Cap Drive-In. Check it out: Taste more Central Oregon spirits at Crater Lake Spirits and Oregon Spirit Distillers in Bend and New Basin Distilling Company in Madras.